ADA price failed to stay above the $0.1500 support and declined sharply against the US Dollar (tethered). There was a break below a key bullish trend line with support at 0.1500 on the hourly chart of the ADA/USD pair (data feed via Bittrex). The pair is now trading in a bearish zone below the $0.1500 and $0.1450 pivot levels. 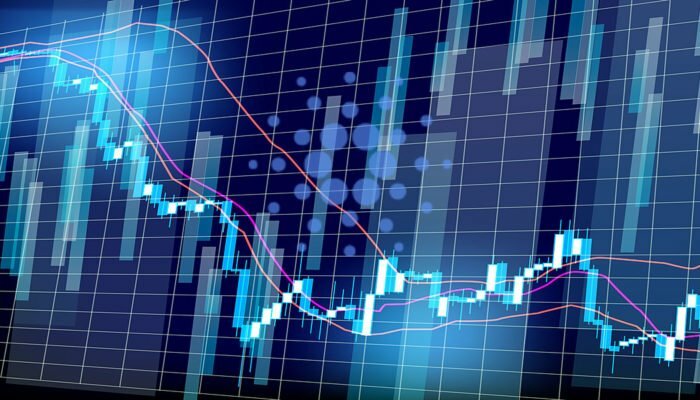 Cardano price failed to gain momentum and declined against the US Dollar and Bitcoin. 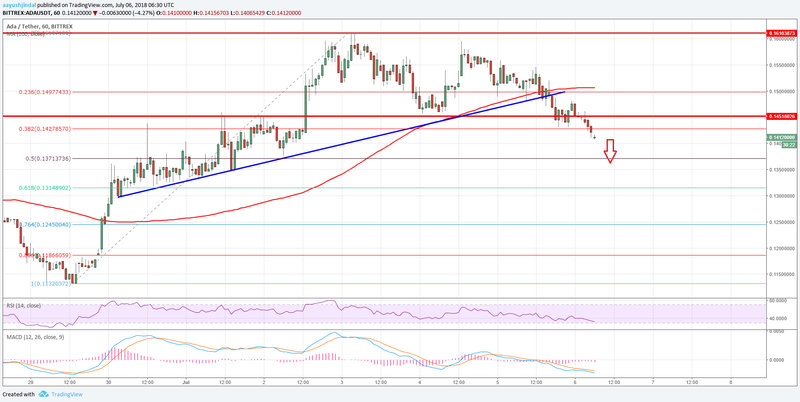 ADA/USD may perhaps continue to move down towards the $0.1300 level. There were a couple of attempts by ADA price to move above the $0.1600 resistance against the US Dollar. The ADA/USD pair failed to gain momentum and declined below $0.1550. There was a break below the 23.6% Fib retracement level of the last wave from the $0.1132 low to $0.1607 high. It opened the doors for more losses below the $0.1500 support. More importantly, there was a break below a key bullish trend line with support at $0.1500 on the hourly chart of the ADA/USD pair. The pair is now trading well below the $0.1450 support and the 100 hourly simple moving average. An immediate support is near the 50% Fib retracement level of the last wave from the $0.1132 low to $0.1607 high at $0.1370. Below this, there is a risk of more losses towards the $0.1300 support level. Any further declines may perhaps put a lot of pressure on ADA and its price could decline towards $0.1250. The chart indicates that the price settled below a major support at $0.1450. If there is an upside move, the broken support at $0.1450 might act as a resistance. Moreover, the $0.1500 level and the 100 hourly SMA are also important hurdles for buyers. Hourly MACD – The MACD for ADA/USD is now placed heavily in the bearish zone. Hourly RSI – The RSI for ADA/USD is moving lower and is currently well below the 40 level.